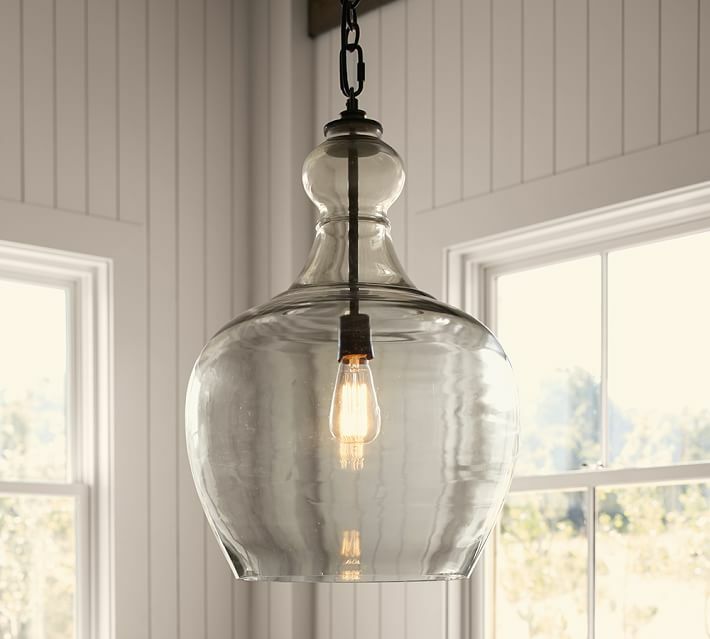 This Modern Farmhouse Kitchen Nook from Kate Lester Interiors boasts a large Carafe Glass Pendant fixture that is one of my favorite glass pendant fixtures. 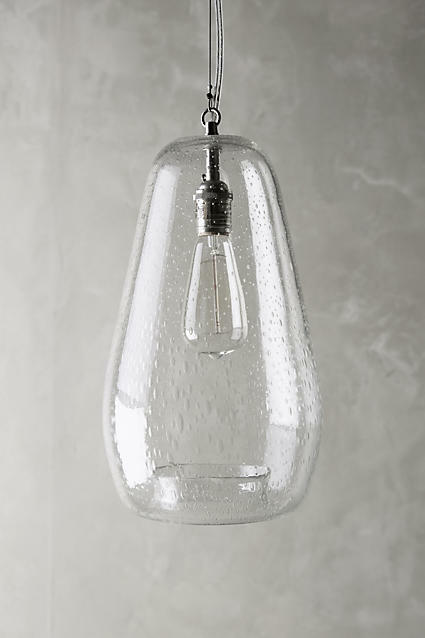 I just returned from a week at market and these glass pendants were everywhere. 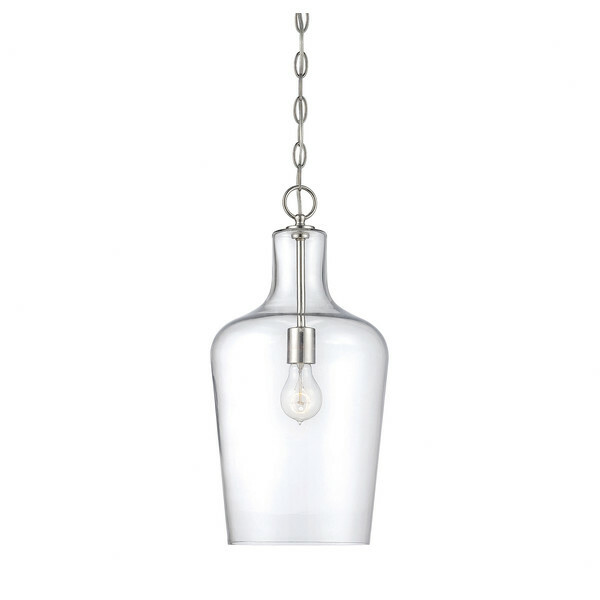 Who doesn't love the clean, crisp, understated elegance of clear glass? 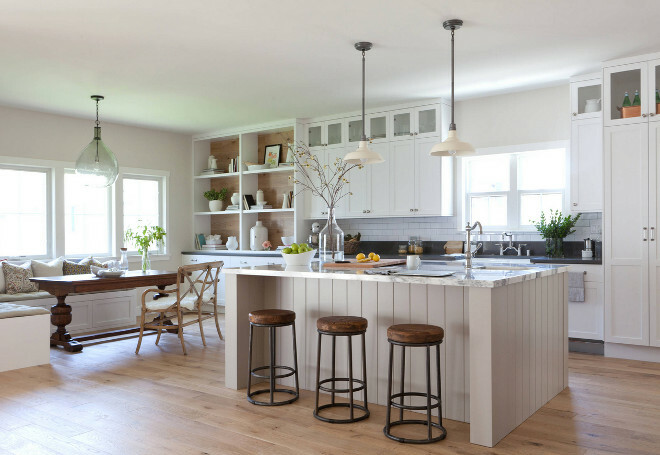 Here is another look at this Modern Farmhouse Kitchen. 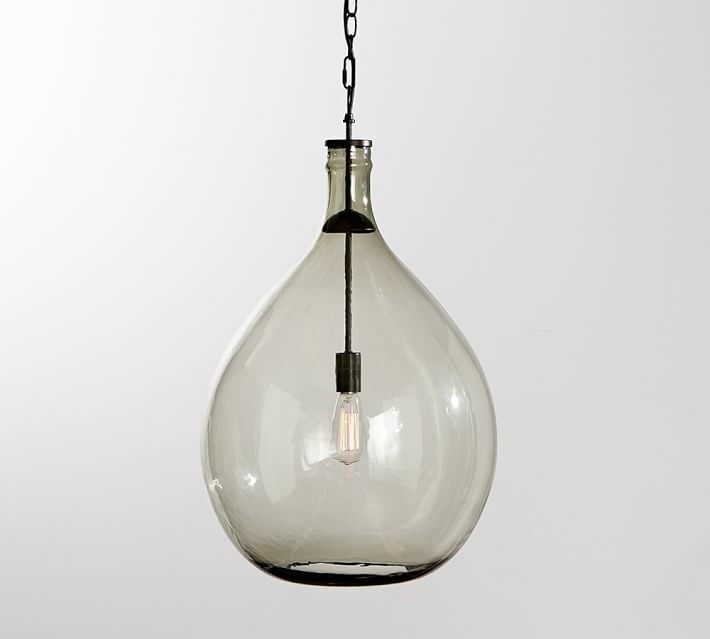 For a more industrial look, this Industrial Glass Pendant from West elm, plus cord set available in eight colors and multiples, will add a striking look at $108. 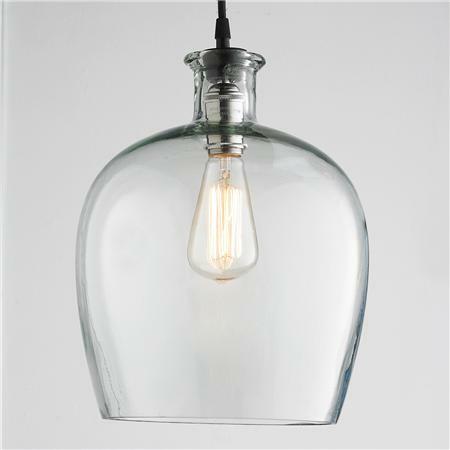 I'm really loving the look of glass pendant fixtures. Designers and homeowners alike love glass pendants - and why not? 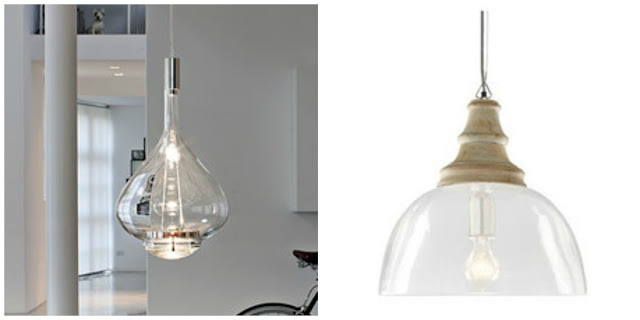 Glass pendants are not only beautiful, at times utterly captivating; pendant lighting is a smart and versatile choice for interior home lighting as well. 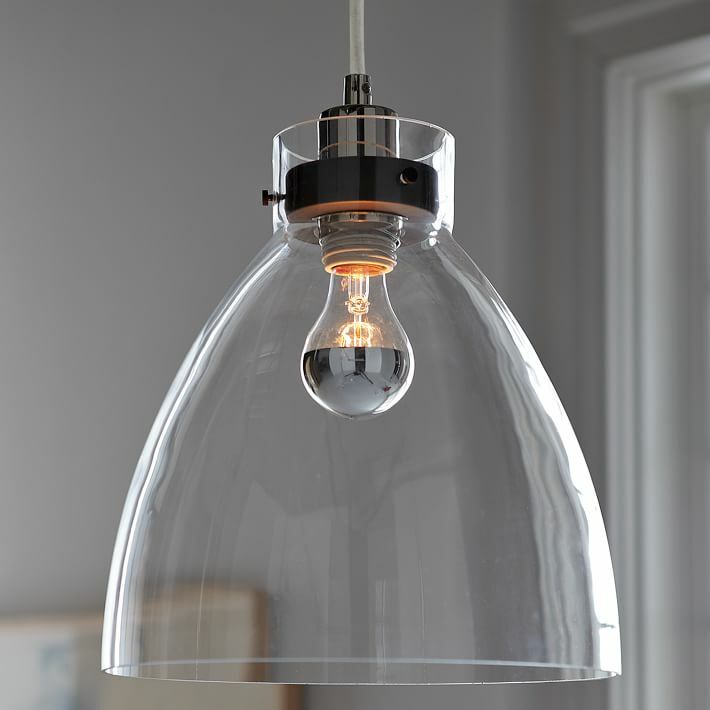 They transcend decor styles and glass pendant lights can be used to provide both function and style in kitchens, home offices, bedrooms and bathrooms. 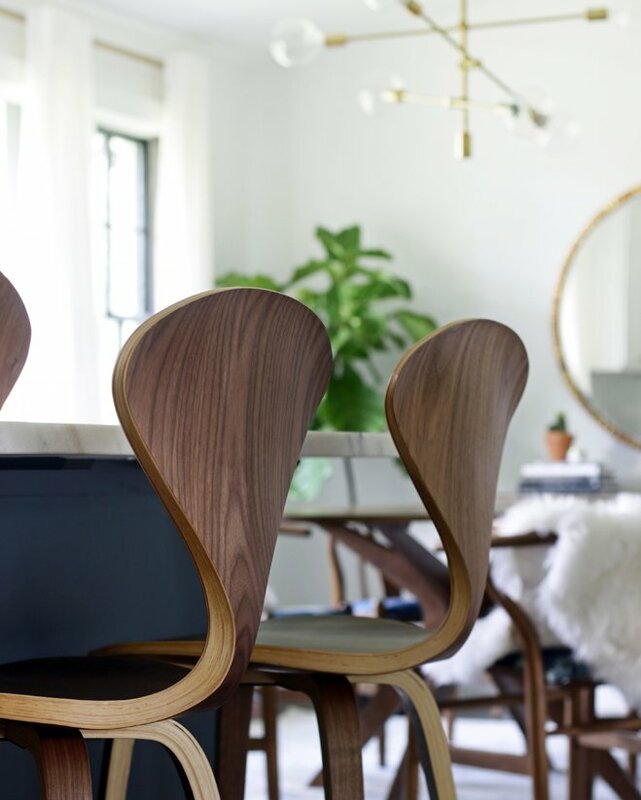 As good as glass pendants look when used alone, their elegance is often increased when they are used in multiples over say a kitchen island or bar. These are fun lights that look amazing! !